High-Quality Neoprene ( Wetsuit Material ) with zipper & glued-in bottom. 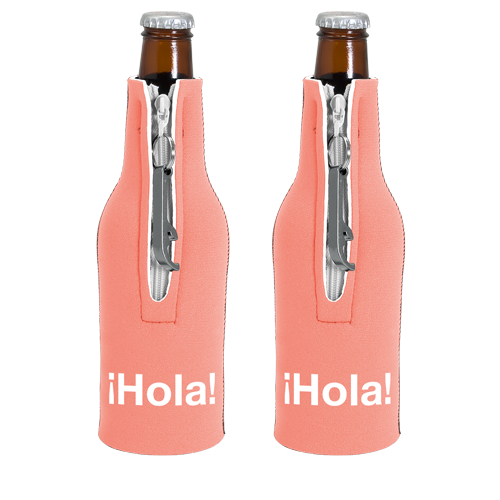 Fits longneck bottles. 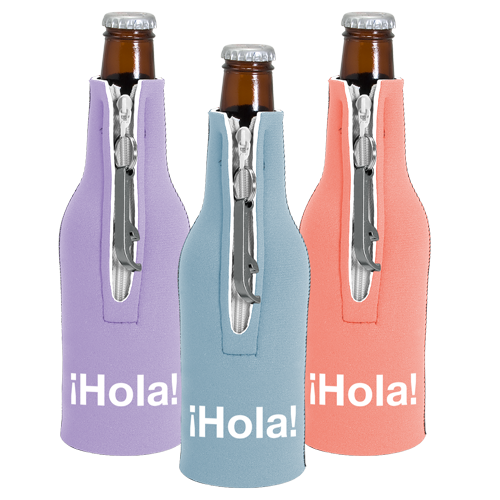 Removable aluminum Bottle Opener (unimprinted) attaches as zipper pull. 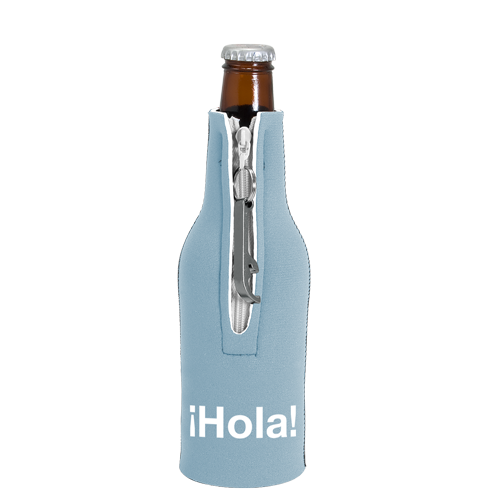 Bottle Opener available in Silver, Red, Black, Blue, or Green. 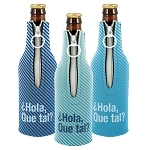 Prices include a one color imprint on one side. 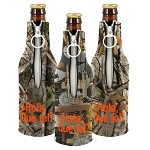 Generic camo material: add $0.20 (a). 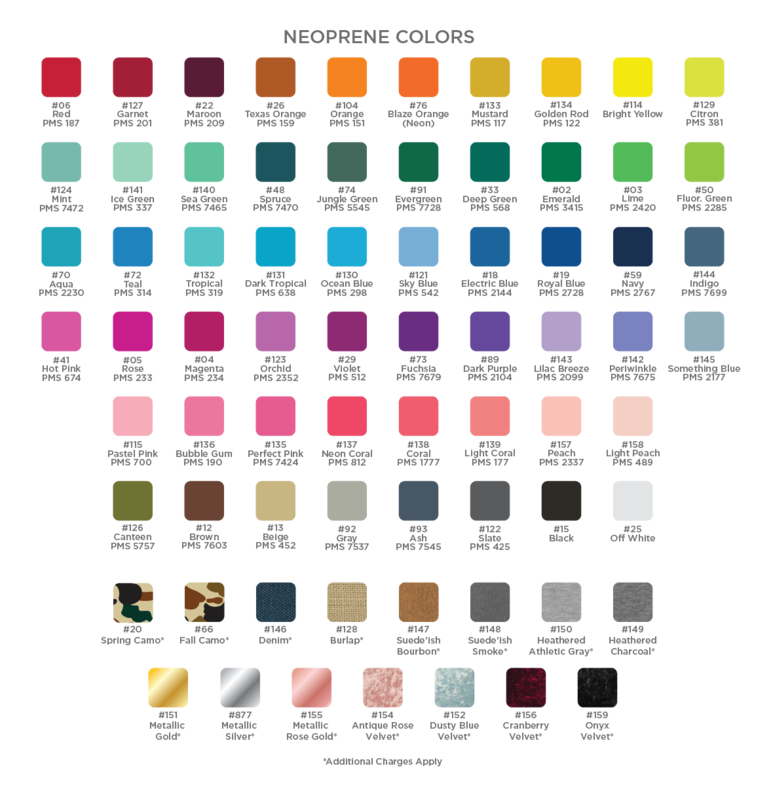 Additional imprint colors: add $0.30 (g) each. Second side imprint: add $0.30 (g) per color. Screen Charge $45.00 (g) per color per side. Case Pack Info: 50 ct. / 15" x 15" x 10"/ 6 lbs.